If you’re looking for a job in Inverness, you’ll find our current listings across different industries below. Our mission at HIJOBS is to show you a range of new jobs and we continually update this page to make sure you don’t miss out on any of the opportunities the city of Inverness has to offer. Whether you’re exploring a career change or hoping to progress your current path, we’re here to help you find a role to suit your needs. Below you’ll find the current jobs in Inverness with an abundance of healthcare and teaching roles as both industries are important to the city’s culture. Our filters will help to focus in on the types of jobs you’re looking for, and our careers section will guide you through the application process to make it less daunting. Take a look at the HIJOBS application advice pages for some tips on how to get started. We hope you find your perfect job in Inverness. As the largest city in the Scottish Highlands, there’s no shortage of activities in Inverness - whether it’s a morning stroll along River Ness or a happy hour beverage at Hootananny Inverness, a quaint pub boasting live music, you’ll always find something to do in this coastal city. The city isn’t crowded and offers a sense of community that contributes to the high quality of life many of its inhabitants rave about. The environment is clean, and the scenery is breathtaking. Living in Inverness means easy access to all different kinds of outdoor activities. You can head to the coast or head to the mountains to clear your mind and enjoy some time quality time outside with friends and family. Between the healthcare industry and the education industry, there are more than a few ways to get involved and make a positive impact on the community. Working in Inverness, you’ll have to chance to get to know the community and make a real impact on their day-to-day health, growth and lifestyle, which makes for a rewarding daily experience. Many of the jobs you'll find will be posted by the NHS Highland. 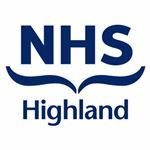 The NHS Highland provide healthcare services to the Highlands of Scotland and cover the local government areas administered by Oban, Lorn the Isles, Mid Argyll, Kintyre, Islay, Cowel, Bute, Helensburgh and Lomond. From staff nurse, to dietician or healthcare support worker, you'll be sure to find the right role for you. Inverness offers teaching roles from institutions like Inverness College UHI, who deliver and further higher education provision in this part of Scotland, a region which continues to see growth and development. 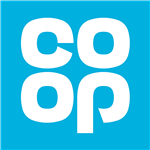 If you can’t find what you’re looking for this time around, be sure to save your CV on our website so you can apply with ease when you do find the perfect opportunity in Inverness.